Christopher Hedges is a Pulitzer Prize-winning journalist and the author of America: The Farewell Tour. He believes that America may well be in its last act. 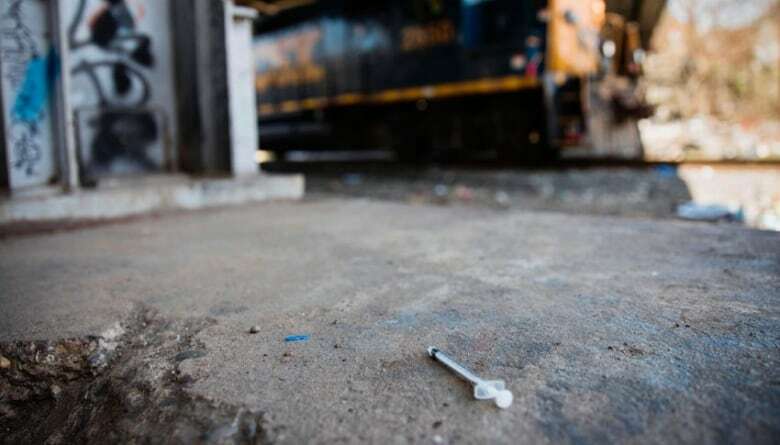 Addiction, income disparity and hollowed-out towns and cities are becoming the norm, he argues, while the political and financial sectors increasingly merge with each other to the exclusion of anyone else's interests or needs. His vision is dark and sobering. America's only salvation, he concludes in this illustrated conversation with guest host Rachel Giese, is mass resistance. Christopher Hedges believes that America's only salvation is mass resistance. 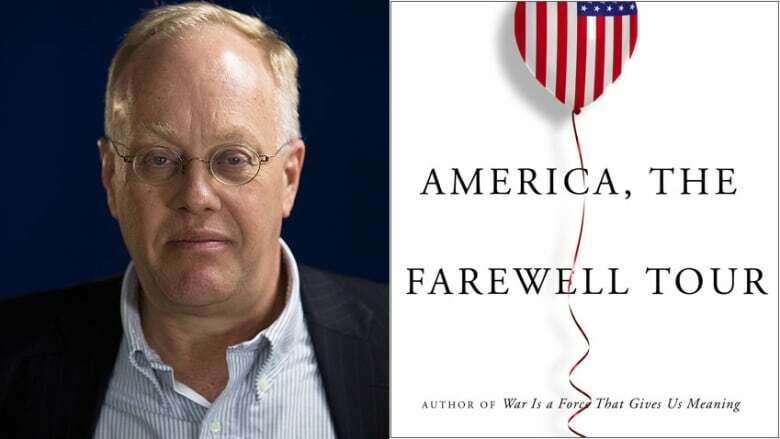 Christopher Hedges believes that the American empire is ending. Cities are dying, their infrastructure crumbling, the middle and working classes gutted, and income disparity more extreme than ever. The problem, he argues, is systemic: "Capitalist oligarchs, meanwhile, hoard huge sums of wealth — $7.6 trillion stashed in overseas tax havens — exacted as tribute from those they dominate, indebt, and impoverish." Although he disavows Marxism, Hedges believes the diagnosis Marx offered in the mid-nineteenth century is correct. "Marx warned that capitalism had built within it the seeds of its own destruction", he asserts. While Marx did not know when that day would come, he did foresee how it would unfold over time: "Capitalism would in the end, Marx said, turn on the so-called free market, along with the values and traditions it claimed to defend." One of those values and traditions was that free markets would mean more individual freedoms and increased social harmony. Yet we are witnessing the rise of authoritarianism in the U.S. and around the world. For Hedges, this trend is not simply alarming; it was predictable. If history offers a lesson, it may be that social despair translates into political anger. Support for Donald Trump is highest in those areas of the United States where opioid use and suicide are also high. The despair has metastasized, according to Hedges, and the outlook is grim: "Crime will become endemic, and in a nation where nearly anyone can get a gun, death rates from violence will rise. Riots, if the unraveling is not halted, will sporadically erupt across the country like wildfires. Random and mass shootings will grow more common. Hate groups will proliferate like lice." Hedges studied theology at Harvard Divinity School and is an ordained Presbyterian minister. He is steeped in Calvinism, which views humanity as depraved. As a foreign correspondent who witnessed the depravities of war, Hedges is seeing the unraveling of the American state much as he has seen other states unravel. But despair is not inevitable or acceptable. For him, resistance is the only moral act remaining, and may offer a kind of redemption: "Resistance entails suffering. It requires self-sacrifice. It accepts that we may be destroyed. It is not rational. It is not about the pursuit of happiness. It is about the pursuit of freedom." This freedom is hard-won and easily lost. But for Hedges, it is an article of faith: "Resistance accepts that even if we fail, there is an inner freedom that comes with defiance, and perhaps this is the only freedom and true happiness we will ever know. To resist evil is the highest achievement of human life. It is the supreme act of love." Christopher Hedges is columnist with Truthdig and the author of America: The Farewell Tour, published by Simon & Schuster, 2018. Nov. 23, 2018 update: Some listeners objected to the omission in our broadcast and website of Christopher Hedges' association with RT (formerly Russia Today), on which he has a program called On Contact. Anti-imperialist and anti-capitalist critics, such as myself, have been driven off the major media corporate-dominated platforms in the United States, including public radio and public television. We exist, mostly, on the margins of the Internet, further isolated in recent months by algorithms imposed by Google, Facebook and Twitter. The show I have on RT was once on TeleSur under the name Days of Revolt. Once TeleSur imploded, RT asked to pick it up with a new name. I have no where else to go. Of course, Russia has its own interests in disseminating critiques like this, but this is something I saw overseas when you could only hear dissidents, such as Vaclav Havel, on Voice of America. Havel was no supporter of the American empire or capitalism, but he was, as I largely am, locked out by state media. And with the assault on RT, even this platform will disappear. It is not Russian propaganda the ruling elites fear -- I don't have any on my show. It is a critique of neoliberalism, which has lost all credibility, and for which the elites no longer have a counter argument. Vigilante Nation: Why the United States loves guns (The Walrus, February 2013). Wages of Rebellion: The Moral Imperative of Revolt (Nation Books, 2015). Days of Destruction, Days of Revolt with cartoonist, Joe Sacco (Penguin/Random House, 2012). Death of the Liberal Class (Nation Books, 2010). Empire of Illusion: The End of Literacy and the Triumph of Spectacle (Nation Books, 2009). I Don't Believe in Atheists (Continuum, 2008). American Fascists: The Christian Right and the War on America (Simon & Schuster, 2008).